Niagara Falls city, a big city in New York near the Niagara Rivers, is named after the world-famous Niagara Falls. And while you would love to make a visit to New York or even Toronto to head there, the city offers a lot more than just that one landmark. The city has a state park, with an observation tower where people go to view the three waterfalls. You have another viewpoint – a must in your itinerary – that is located at Gorge Discovery center, that is still in this city. If you love the water, which we are sure you do if you’re going to visit the Niagra Falls, pay a visit to the Aquarium, which has everything from seals, penguins to sea lions. The average temperature in this place is 24 degrees Celsius, so while you can take out your tees, you won’t feel too hot. With a good many tourist attractions, it’s the favorite vacation spot for many when touring Canada. Let us discuss the top 3 things that make it interesting. 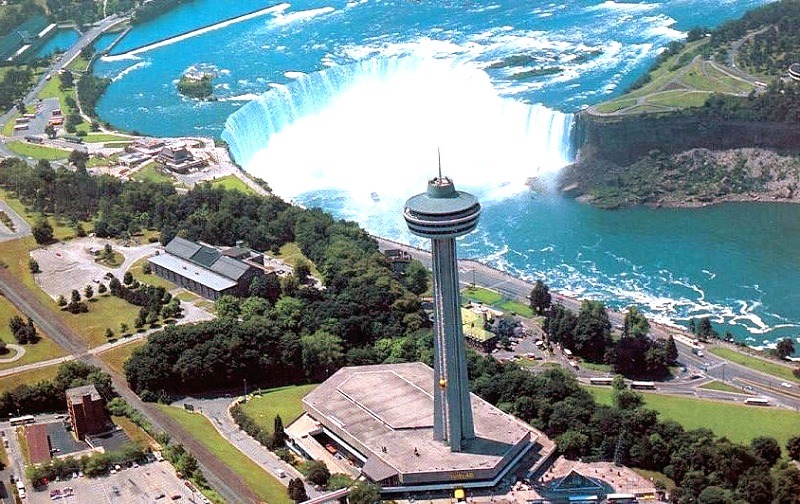 Skylon Tower is attractive and tall and is just a little farther than 235 meters from the falls. Whether it be the view of Niagara city, its escarpments, or the falls, there is a lot to love here. You have two restaurants, and you would love the delicious meals on offer. Guests take the buffet as they enjoy this view. What would be more fulfilling and relaxing than such a moment? Guests who take meals in the restaurants are not charged to access the observation deck. Did you know that the Niagara Falls is the largest in the world? They are amazing and famous and has three parts. The American falls, which is around 330 meters and cuts through New York City. Horseshoe Falls, which is around 640 meters and cuts across America shores and Canadian shore. Bridal Veil Falls, which lies in between the above two. There is also the popular Table Rock stop, which once had a large shelf piece of rock that you could see in the south of the Canadian shore. Today, it is a popular spot for tourists. 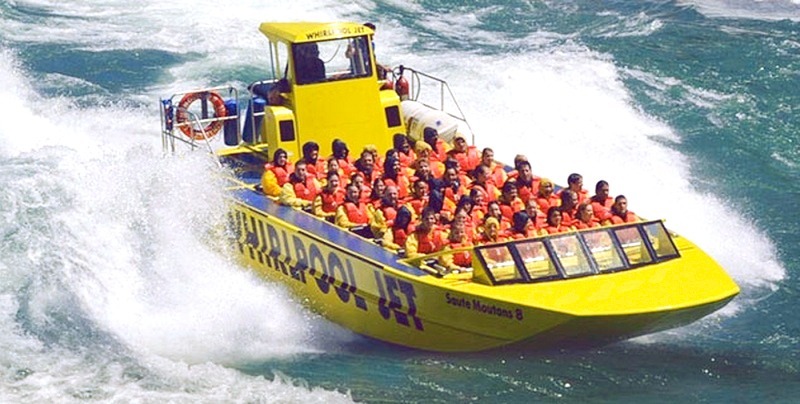 You can take a tour in the lake at Niagara Falls with whirlpool jet and cut across whitewater rapids – it’s an experience you wouldn’t forget soon. Niagara Falls city has a lot more than just the three we talked about above though. 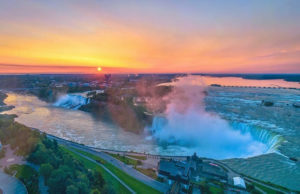 You would also want to make a visit to the Butterfly Conservatory if you want to see some beautiful butterflies or go on Hornblower Cruises to explore Niagara Falls further. You can also try going to Marineland, which can be a complete family affair, with it being both a zoo and an amusement park.